Line A is the green line of the Prague metro system. After recent expansion, 17 stations are part of this line. It is 17 kilometres long. It takes about 30 minutes to get from Nemocnice Motol to Depo Hostivař. During rush hour, it transports about 20 000 passengers every 60 minutes. Construction of the line started in 1973, however, it was opened 5 years later, in 1978. Also, it was not as long as it is today, as it only went from Náměstí Míru to Dejvická. With the first section still under construction, work began on the second, running from Náměstí Míru to Želivského. The line saw itself extended to the east two more times and currently its terminus station is Depo Hostivař. It was extended on the other side as well. Last year, 5 new stations were added with the last one being Nemocnice Motol. Most of stations on Line A is built in considerable depth, so majority of them is aisled with massive pillars. Most stations have only one entrance/exit. Regarding the design of stations themselves, it is of a very high quality. It is in large part thanks to great work with the lighting and use of materials, such as granite. 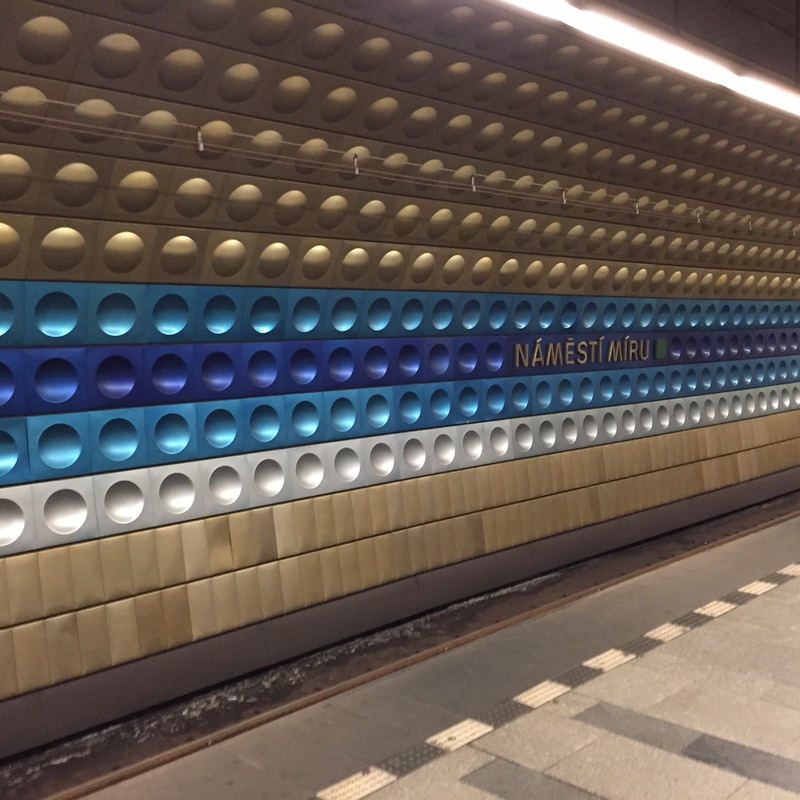 Some stations are referencing the history of the city of Prague. Malostrnaská, for example, is connected with the old medieval garden and Můstek still contains an old medieval bridge in its hall. Base colour of Line A is golden champagne. Circular tiles are made from aluminium. In each station there is a stripe made of coloured tiles in front of a platform which help in distinguishing each station from each other. Among other materials used are granite and marble, to name a few. Western expansion happened quite recently, so the next plan is to expand the line in the eastern direction. Plan is to make Line A2 going from Strašnická and running all the way to Nádraží Hostivař, from where no long-term expansion is planned.